Sometimes homes don’t come built with dream kitchens. Sometimes, it is up to the contractors to build their client’s kitchen they are truly happy to use. ProSource Wholesale offers homeowners and contractors the ability to see new styles of kitchens and determine which one would fit the client’s needs. Better still, our showrooms offer materials for purchase. So, if you like something at our showroom, you can take it with you right away. 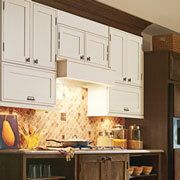 Kitchen cabinets are the main feature guests will notice in your client’s kitchen. You want to make sure that your client’s cabinets are well made and will last them for years. Because your clients will use their cabinets almost every day, it is important that the cabinets will be able to handle heavy use. 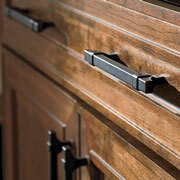 No cabinet is complete without a stylish knob or handle. At ProSource of San Diego, you will be able to browse dozens of different selections of cabinet hardware. And, since we have visual displays, you will be able to test our which piece would work better for your client. 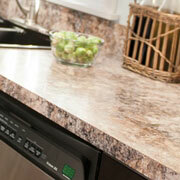 Your client’s kitchen countertop is essential to their dream kitchen. If you are currently caught between choosing different types of materials for your countertop, ProSource has a selection for you to see. Here, you will be able to see samples of materials such as granite, marble, and eco-friendly options on display. This way, you will be able to confirm which styles will look better in your client’s kitchen. Struggling with a small, shallow sink is awful. At ProSource of San Diego, we can show you newer models of sink basins that could make washing dishes much easier. 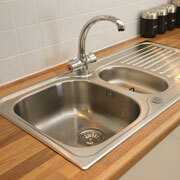 Come to our showroom and see for yourself the different sizes and styles of sinks we have to offer. If your client is getting a new kitchen sink, you will most likely need a new faucet, too. 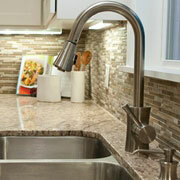 At ProSource, we have a wide selection of sink faucets to choose from. Choose between metallic faucets ranging in color from gold to silver. To learn more, come to our showroom. Our team proudly serves San Diego, Del Mar, Solana Beach, La Jolla, and Scripps Ranch, California. The ProSource of San Diego showroom is conveniently located in San Diego, California and serves all of the neighboring cities including Alpine, Bonita, Boulevard, Campo, Carlsbad, Chula Vista, Coronado, Descanso, Dulzura, El Cajon, Encinitas, Fallbrook, Guatay, Imperial Beach, Jacumba, Jamul, Julian, La Jolla, La Mesa, Lakeside, Lemon Grove, Lincoln Acres, Mount Laguna, National City, Oceanside, Palomar Mountain, Pine Valley, Potrero, Poway, San Diego, San Ysidro, Santee, Spring Valley and Tecate.